FastPass+ is a free service that allows you to skip waiting in lines for attractions. Who Can Make A FastPass+ Reservation? Anyone with a valid Magic Kingdom, Epcot, Animal Kingdom, or Hollywood Studios park ticket can use this free service. With the purchase of a park ticket you can reserve up to 3 FastPass+ attractions at 1 park per day in advance. For example: If you are planning to spend your whole day at Magic Kingdom you would schedule up to 3 FastPass+ at Magic Kingdom for that day. However, if you plan to visit Magic Kingdom in the morning and Epcot in the evening of the same day you may only choose 3 FastPass+ in advance for the day at either Magic Kingdom OR Epcot. You can not reserve 3 FastPass+ at each park or 2 at Magic Kingdom and 1 at Epcot in advance. Once your scheduled FastPass+ are used for that day you can add more. You may add 1 additional FastPass+ reservation in the same park (or in your second park of the day). For a more detailed explanation on how to get bonus FastPasses read this article. 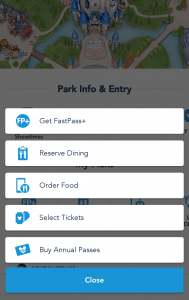 Adding an additional FastPass+ is done via the My Disney Experience mobile app or in-park kiosk. You can continue to add 1 FastPass+ at a time until all FastPass+ windows are gone for the day or the park closes. When Do I Make My FastPass+ Reservations? If you are staying on-site at a Disney World resort you can make these FastPass+ reservations 60 days prior to your trip. If you are staying off-property you can make the reservation 30 days before you arrive. FastPass+ reservations can be made by logging into your My Disney Experience account on the website or using the My Disney Experience app. Why Should I Bother Planning My Ride Times? 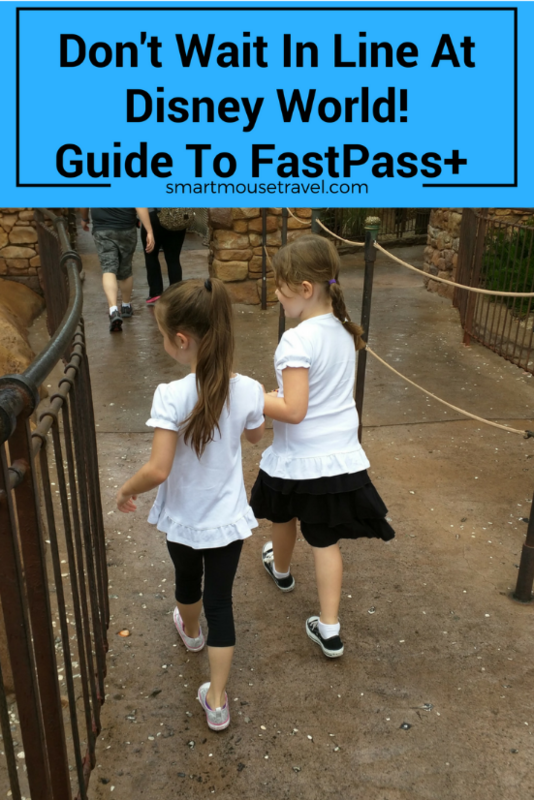 FastPass+ can be a huge time saver. For example: Say you are going to Magic Kingdom for the day and you want to ride some of the more popular rides like Seven Dwarfs Mine Train, Peter Pan’s Flight and Space Mountain. In the middle of the day (during an average week of crowds) it is possible for the wait to be an hour or more for each of those attractions. If you instead plan ahead and get FastPass+ for these attractions (always subject to availability) you can instead spend 5 to 10 minutes waiting for each of these same rides. By reserving these Fastpass+ times in advance you could potentially save yourself 2.5 hours and still ride the top-tier attractions based on this example. No way! I Would Rather Be Spontaneous At The Parks! Some people feel constrained by having these scheduled blocks of FastPass+ times. However, consider that this small amount of planning can pay off in much less waiting in line at popular attractions. Based on this time savings I think you should be swayed toward making FastPass+ reservations. And remember you have a whole hour window to show up at the attraction! This hour long window gives you flexibility in your day. You can also change your FastPass+ while you are in the park by using the My Disney Experience app. Okay, I’m Sold. What Do I Need To Do Before My FastPass+ window opens? Make sure you have registered for a Disney account. Download the app (if using it instead of the website). Make sure everyone in your party is part of your Family and Friends list on the My Disney Experience website or app. Confirm everyone in your party has a valid park ticket. Make sure the ticket is associated with the correct profile. If it isn’t you will be unable to make reservations for them. Which Attractions Have A FastPass+ Option? The FastPass+ I recommend are in bold. 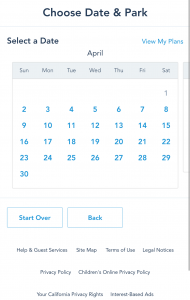 Fill in other options as you have availability. This list has been updated to reflect the opening of Toy Story Land June 30th, 2018. 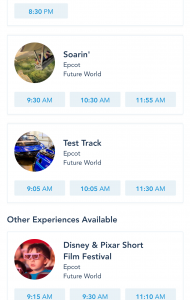 You may make FastPass+ reservations via the Disney World website under the “My Disney Experience” tab or by using the My Disney Experience app. First, download the app for Android or Apple. Make a Disney account or sign in using a current Disney account. 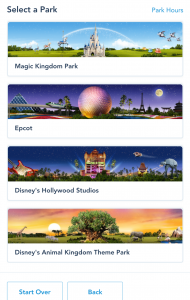 You will first see the home screen which is a Disney World map and some options at the bottom. Click on the blue plus sign at the bottom of this home screen. You will see several options. Choose “Get FastPass+”. 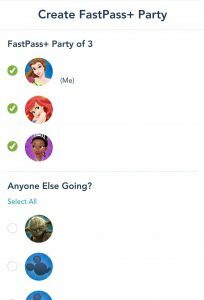 Now choose your group for the FastPass+. Next you will be asked to choose a date. Then you will need to choose a park for that date. You will now be shown available FastPass+ for that date and park. You can choose to narrow times by morning, afternoon, evening or a specific hour of the day. Once you have found a desired FastPass+ touch the time you would like for your reservation. You will be given a chance to review information and then hit the green confirm button. If you confirm your selection you will get a final confirmation screen. 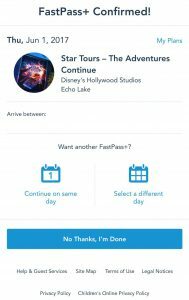 Then you have the option to continue booking FastPass+ for the same day, switch to a different day, or be done with planning. 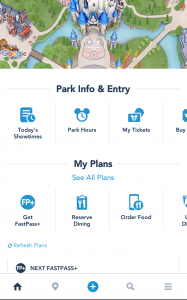 After making all of your FastPass+ reservations you will see them under the My Plans section on the app. My Park Day Is Here! Now What? Any attraction with a FastPass+ option will have a sign above the queue. One line will say “Stand-By” the other will have “FP+” or “FastPass+” above it. Before you enter the FastPass+ line a cast member will ask you to touch your MagicBand or park ticket to a Mickey shaped device. If you arrive during your scheduled window the Mickey icon will turn green and you will be allowed to enter that line. 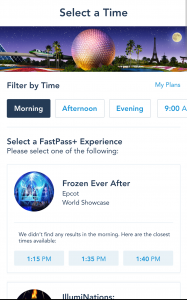 Now you know what FastPass+ is, why you should use it and how to make a reservation using the My Disney Experience app! This underused skip-the-line option is one of the things I love most about Disney World. Next Post:Disney World Lingo – What Does It All Mean?! I loved using fast pass I really. Should have activated mine earlier bc we got shut out of Anna & Elsa fast passes and we waited an hour to see them! Book em early!!! Early is better for FastPass+! But if you aren’t able to score your preferred FastPass+ right away keep checking in the days leading up to your trip – sometimes a spot may open up.